2018 is shaping up to be another year characterized by conflict and hunger. The four countries at risk of famine in 2017 - Nigeria, Somalia, South Sudan and Yemen - continue to experience high levels of hunger. 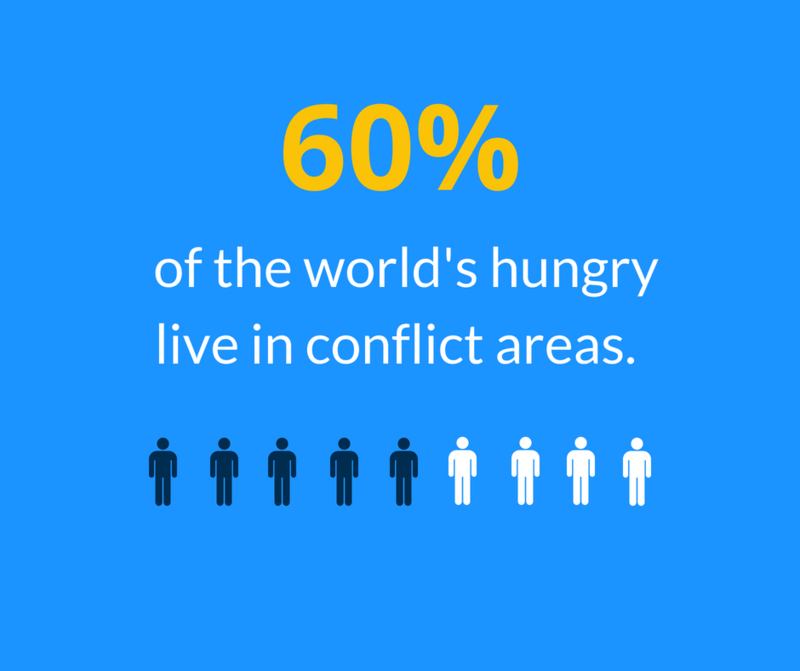 Similarly, conflict and insecurity in Syria’s seven-year civil war and the Rohingya crisis continue to threaten the food security of their populations. Additionally, new additions have been made to the watch list—the Kasai region of Democratic Republic of Congo and the Central African Republic. 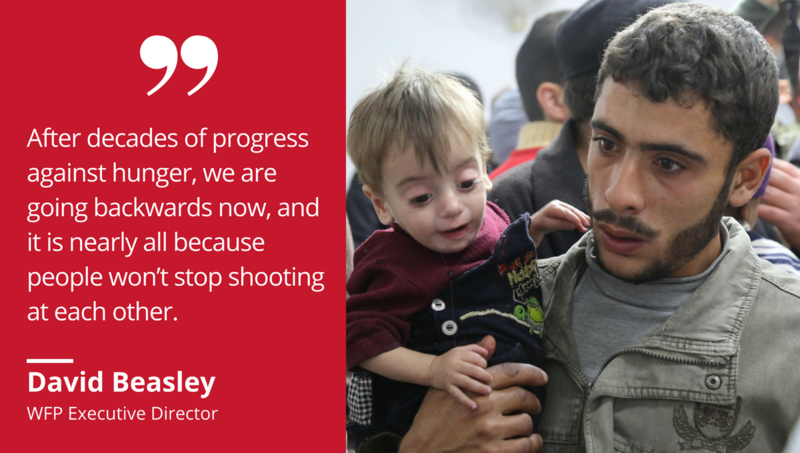 Seven years on, the Syrian conflict has left millions of people in poverty and hunger. To date, 6.5 million people are food insecure and an additional 4 million people are at risk of becoming food insecure. 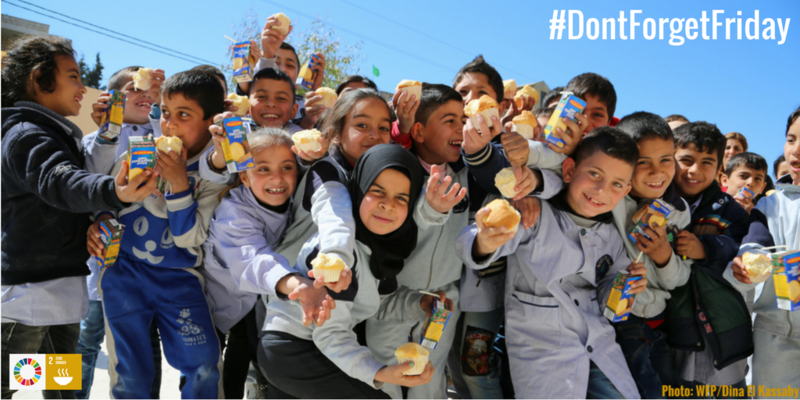 As of January, WFP is providing food assistance to 3 million people. Continued fighting in a number of areas prevents humanitarian agencies from reaching those most in need. More funds are needed to provide continue food assistance to those who require it. 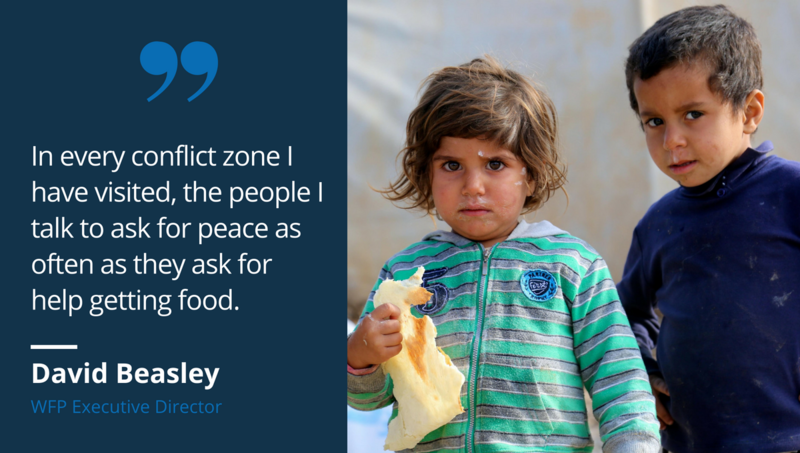 Due to funding shortages, WFP are having to prioritize the most vulnerable. 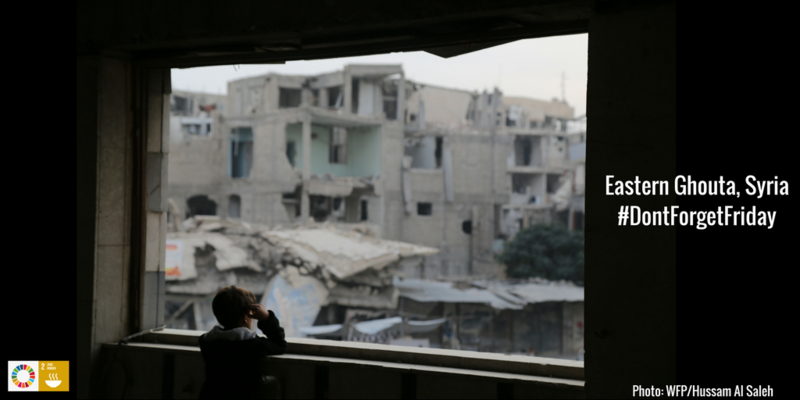 Eastern Ghouta, Rural Damascus is an area of specific concern due to continued bombing campaigns that cause its 400,000 residents to live in extremely poor conditions with severe shortages of food, medicines, drinking water and fuel. Shortages of food have led to numerous cases of severe malnutrition. Two convoys reached Eastern Ghouta in early March, bringing much needed wheat flour for 27, 500 people, nutritional products to treat malnourished children as well as food and supplies more generally. Commercial activity into this area stopped in mid-Feb after shelling destroyed warehouses owned by the only trader permitted to supply Eastern Ghouta with food. Since then, humanitarian assistance has been only source of food. It is crucial that all ports remain open to receive vital supplies such as food and fuel. 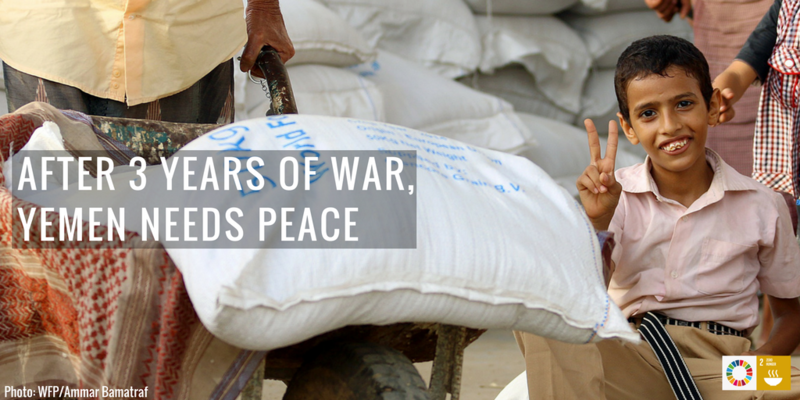 The success of WFP’s operations in Yemen depend on receiving sufficient resources. Funds are urgently needed as lead-time of food is an average of four months. While more than 90% of Rohingya refugees in the Cox’s Bazar region receive food aid, more than half of new arrivals have limited access to healthy food. As such, WFP is transitioning new arrivals onto its e-voucher programmes that permits people to choose and buy food. WFP provides an average of 800,000 Rohingya with food assistance each month. 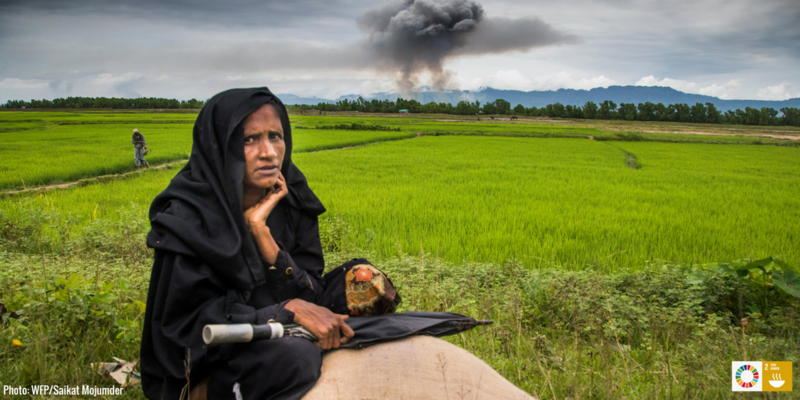 The total number of Rohingya refugee has reached 883,000. Additionally, WFP has expanded its emergency nutrition programmes in response to high rates of malnutrition seen in this population. An estimated 140,000 pregnant or breastfeeding women and children receive specialist nutrition products each month. However, all refugee sites are above the WHO malnutrition emergency threshold of 15%. 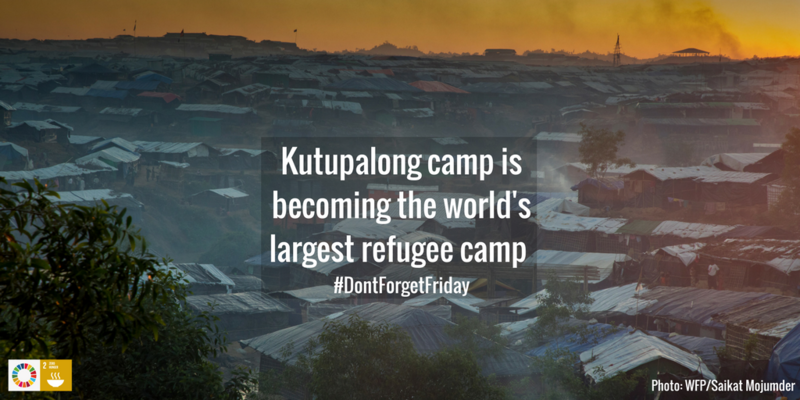 As Kutupalong is the largest and most densely populated refugee camp in the world, it faces difficulties maintaining sustainable water, sanitation and health services. Additionally, the April rainy season is expected to bring greater challenges and efforts have been launched to prepare refugees by reducing risk of landslides and flooding. More needs to be done to support host communities who face similar problems to refugees such as increased food and firewood prices and increased competition for jobs. WFP requires US$82 million to continue to fund operations from March till August. The WFP is concerned about food insecurity and undernutrition in Rakhine State. The recent violence and displacement is thought to have negatively affected the already poor nutrition status of its population with damage to key livelihoods. Similarly, movement restrictions have prevented people from farming or fishing. A request has been made by the Government of Myanmar for FAO and WFP to conduct a Crop and Food Security Assessment Mission (CFSAM) in the area. 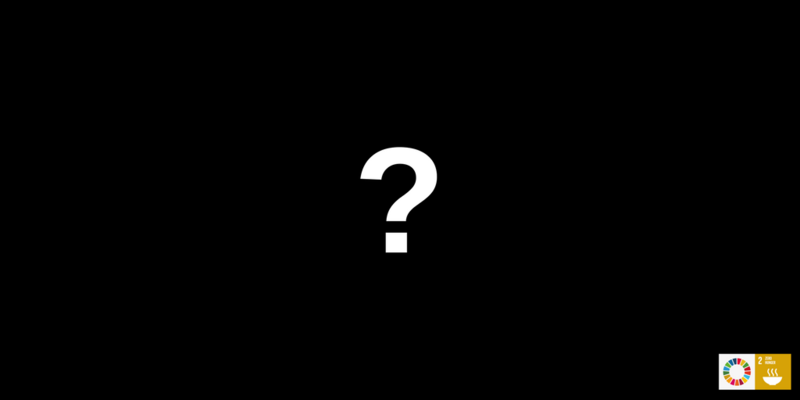 The CFSAM is scheduled to happen in March but may be delayed. In February 2018, WFP provided food and nutrition assistance to 163,000 people. March distributions are expected to target 182,000 people. However, UN agencies and humanitarian organisations continue to experience severe access constraints, hampering the delivery of aid relief. This means that there is no comprehensive understanding of the needs of Rakhine’s community to guide humanitarian efforts in best assisting the most vulnerable. WFP requires continued funding to provide assistance. More than 750,000 people are still displaced due to insecurity in Kasai. As such, fleeing farmers have missed 3 consecutive planting seasons. This has resulted in an increase in food insecurity. This is significant as 90% of Kasai’s rural population rely completely on agriculture for food and income. Despite efforts by the WFP and international partners, food assistance is currently unable to meet the needs of the Kasai population. 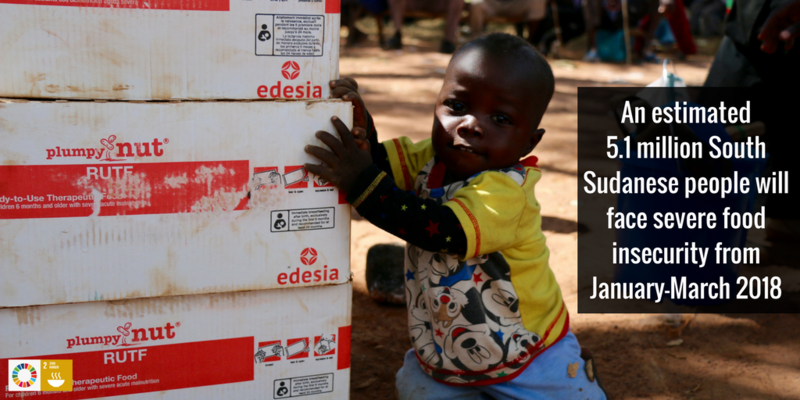 As of December, food assistance is only reaching 400,000 of the 3.2 million severely food insecure people in Kasai. Food insecurity is taking a toll on the nutrition of this population with 400,000 children under-five are suffering severe acute malnutrition. UNICEF warns that children are likely to die if they not receive health, nutrition, and water and sanitation support. The WFP warns that insufficient funding could result in a further deterioration of food security in Kasai. Due to violence and insecurity, the Northeastern Nigerian states of Borno, Yobe and Adamawa have seen a mass displacement and migration of people. A reported 1.62 million displaced people are living in camps or host communities within Nigeria while tens of thousands are seeking refuge in neighboring countries. People are starting to return back to their homes and require humanitarian assistance. 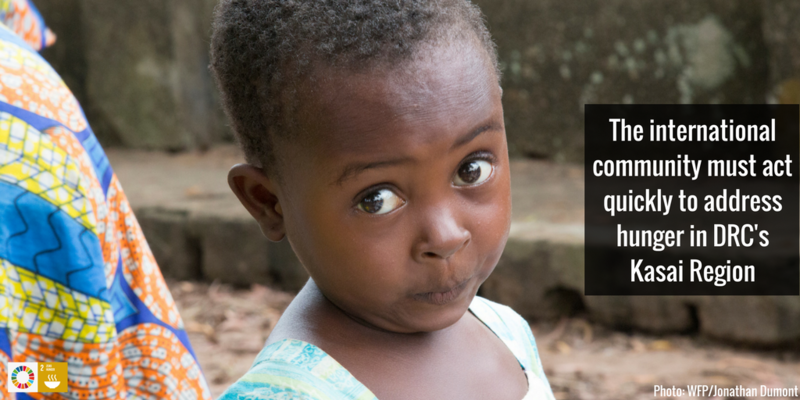 Violence has also resulted in increased food insecurity with an estimated 450,000 children severely malnourished. The humanitarian response throughout 2017 managed to stave off famine but requires continued humanitarian response and funding through 2018.Continued insecurity, poor roads and population movements are some of the challenges faced by humanitarian responders. Humanitarian assistance to Northeastern Nigeria is expected to end in May when operations run out of funds. In 2017, Somalia has experienced looming famine in the aftermath of an unprecedented drought due to several failed rainy seasons. This situation was further compounded by continued conflict that forced many to flee their homes. The humanitarian community successfully averted a likely famine in 2017 with record high levels of funding- the largest amount contributed to Somalia in its history. These resources permitted humanitarian agencies to reach more than 3 million people each month with live-saving assistance. It was also able to contain two infectious disease outbreaks- measles and cholera. However, OCHA warns that Somalia has not yet overcome the gravest threat in some areas of the country and the factors that caused its vulnerability and the need for life-saving assistance- drought-induced displacement, conflict and limited access to basic services- still persist and drive humanitarian needs in 2018. As such, humanitarian aid must continue while an effort must be made to plan for and establish longer-term solutions that deal with the causes of vulnerability. 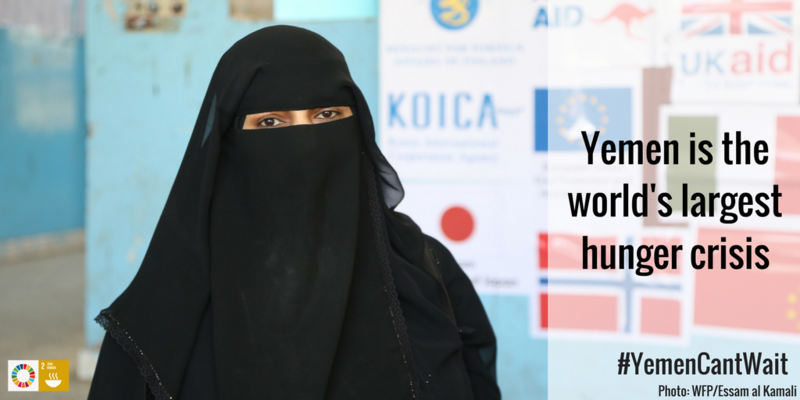 This thinking is embodied in OCHA’s 2018 Somalia Humanitarian Response Plan that aims to prioritize immediate relief operations in areas where a significant number of people are in Crisis and Emergency (IPC Phases 3 and 4). 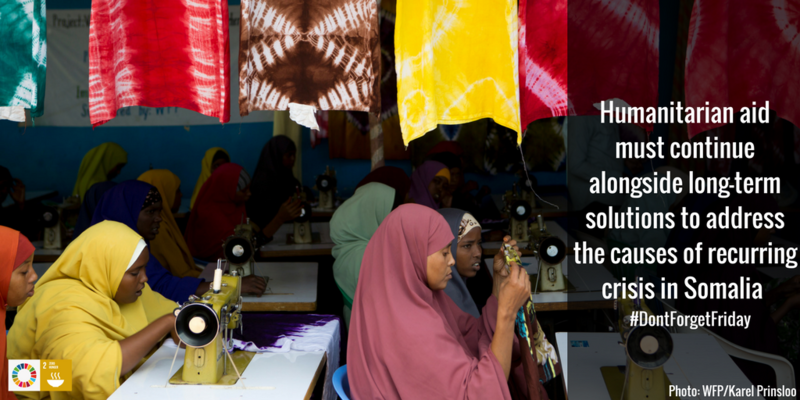 At the same time, humanitarians will work to address the underlying causes of recurring crises in Somalia. 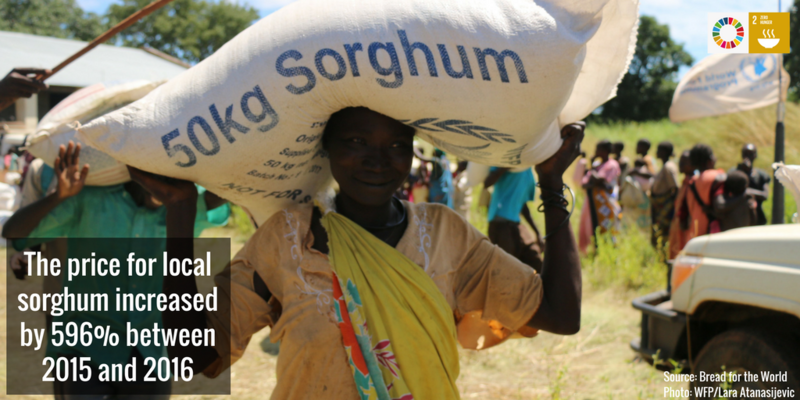 The WFP has resumed the integrated rapid response mechanism (IRRM) and has seven team deploying life-saving food and nutrition assistance to 96,633 people, including 17,370 children under-five. 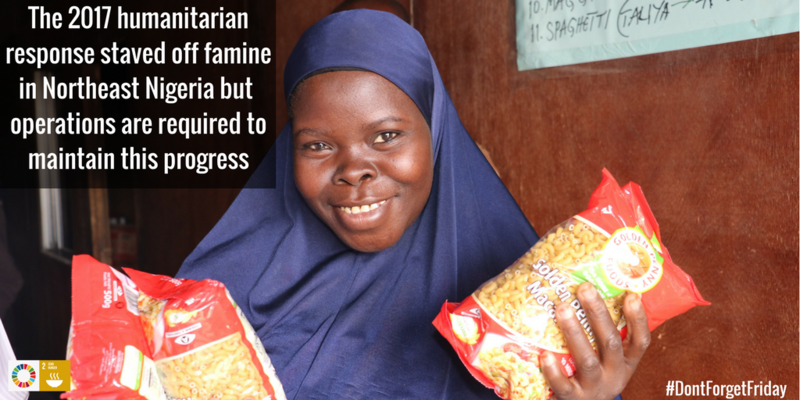 The WFP will launch an additional 26 missions in the coming six weeks to increase its assistance to 400,000 people. 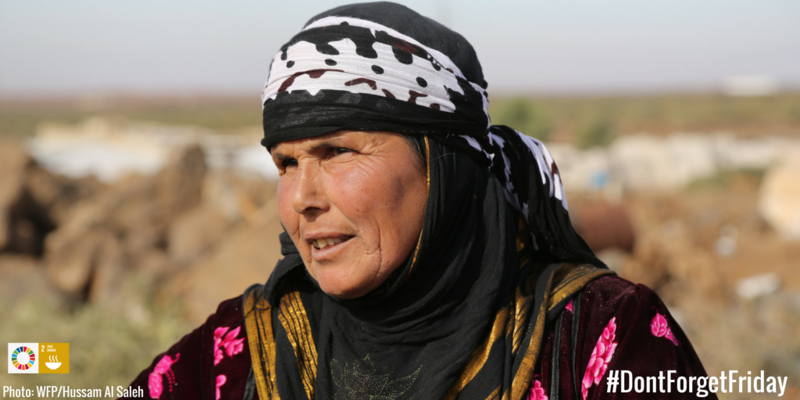 Iraq – the WFP has been providing food and cash assistance to some 750,000 of the most food insecure people who are displaced. There are currently some 2.7 million displaced people living in camps and elsewhere. However, the Government has announced plans to close all the camps and for 2 million IDPs to return home by the time of parliamentary elections due to be held in May. The Central African Republic (CAR) ranks last on the 2016 Human Development Index. Renewed sectarian violence in 2017 has led to the internal displacement of over 680,000 people while over half a million have sought refuge in neighbouring countries. An estimated 2 million people are food insecure due to a 50 percent decrease in crop production by comparison with pre-violence levels. These resources constitute a call to action to global advocates on food, hunger and malnutrition to encourage them to raise awareness around the on-going global food crises. 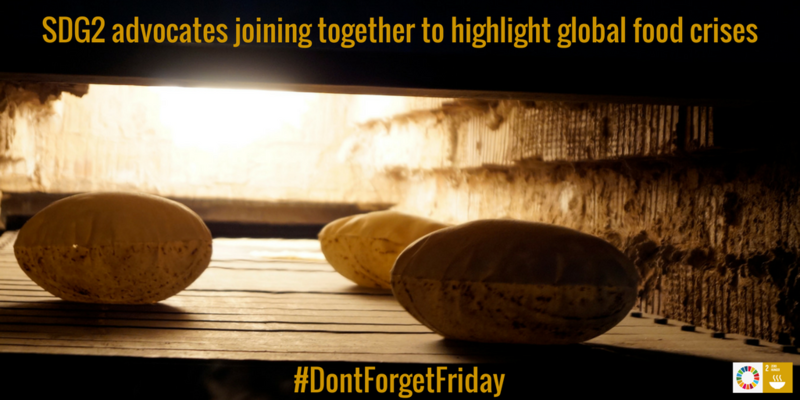 With the #DontForgetFriday, the Hub intends to start a global movement of people who highlight on-going food crises each week as to increase the visibility of these forgotten crises and increase pressure on parties to resolve these crises. 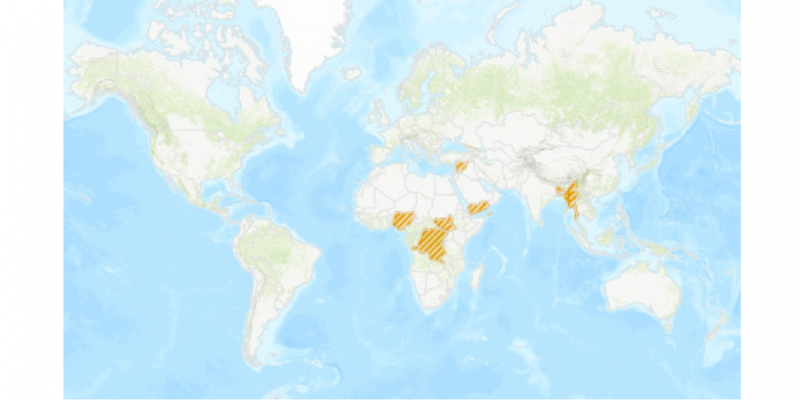 The information included in this food crisis update has been sourced from WFP and OCHA press releases and situation reports as of January 2018. 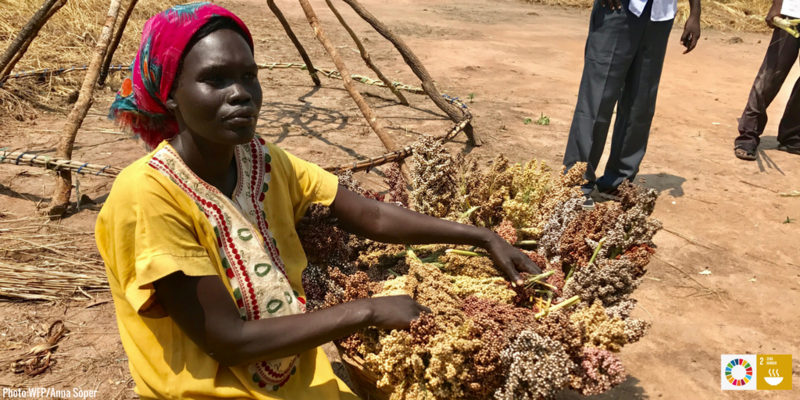 Please find resources below to promote key messages and information relating to the current state of food crises as well as previous updates.